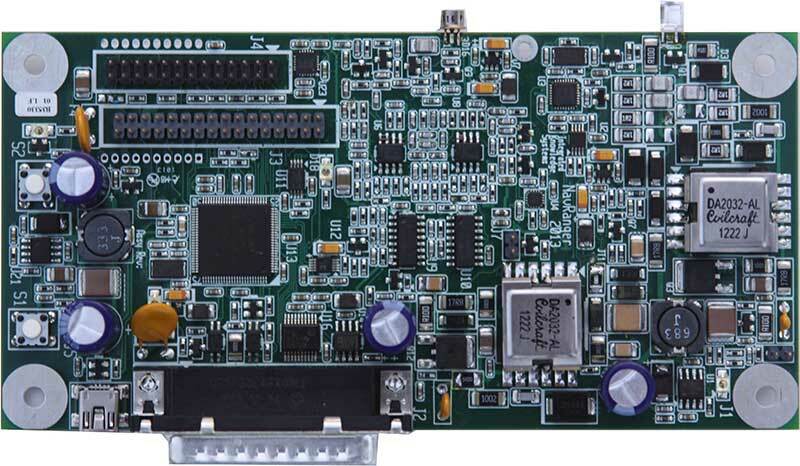 ACCES I/O Products has announced the release of a new USB high-speed arbitrary waveform output board with flexible ranges and configurable digital I/O lines. Industry-standard BNC connectors are used for the analog waveform output and the gate control input, while the utility digital I/O lines are accessed via a 16-pin shrouded connector. 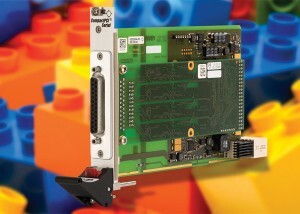 The USB-AO-ARB1 can be used in an assortment of embedded applications, including stimulus-response, test, simulation, industrial equipment control, waveform/audio synthesis, advanced substance scanning and detection, medical imaging systems, military/mission-critical, cyber security systems, manufacturing test, and process monitoring. Arbitrary waveform generation capability becomes increasingly necessary as CPUs are burdened with a greater abundance of complex tasks. An arbitrary waveform is a user-defined set of digital values specified point by point over time. These values are then clocked through a DAC to provide the analog output signal or generate the waveform. 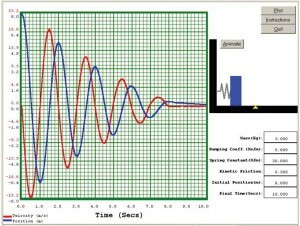 Virtually any waveform can easily be created using the software tools provided by ACCES and also by third-party software packages such as LabVIEW. The ARB relieves some of the load placed on the CPU by handling the waveform timing at the hardware level, using an on-board FIFO and control logic. This is especially useful in time-critical applications as outputs remain unaffected by latencies inherent in popular operating systems. 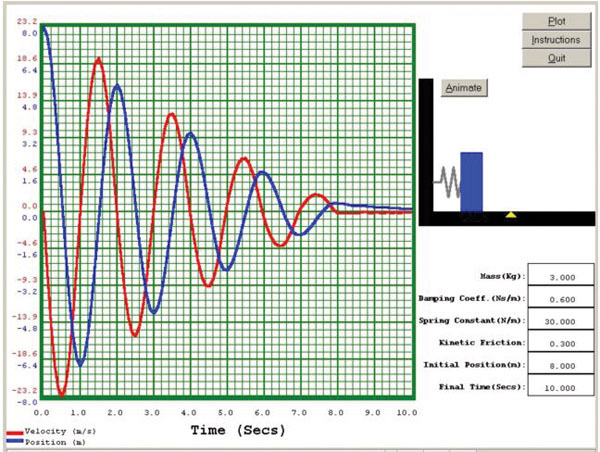 High-quality analog waveforms provide for robust self-test functionality, and flexible stimulation or simulation of scientific or industrial test equipment. The USB-AO-ARB1 was designed to be used in rugged industrial environments but is small enough to fit nicely onto any desk or testing station. 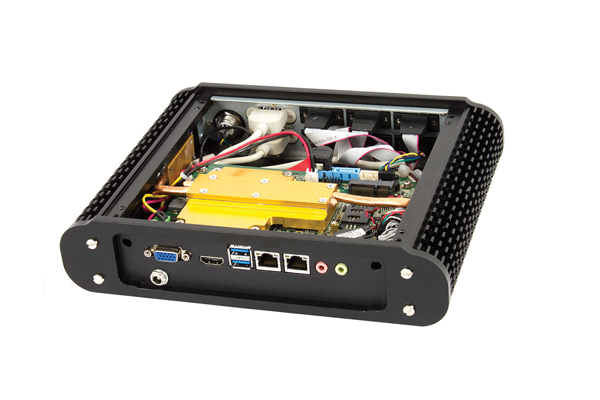 The board measures just 3.550″ × 3.775″ and ships inside a steel powder-coated enclosure with an anti-skid bottom. A DIN rail mounting provision is available for installation in industrial environments. What makes the OEM USB/104 option unique is that its PCB size and pre-drilled mounting holes match the PC/104 form factor (without the bus connections). This ensures easy installation using standard standoffs inside most enclosures or systems. 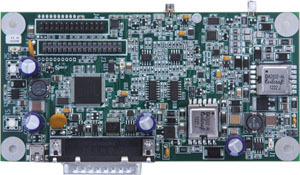 The board can be added to the top or bottom of any PC/104, PCI-104, or PCI/104-Express stack by connecting it to a USB port usually included on-board with embedded CPU form factors. 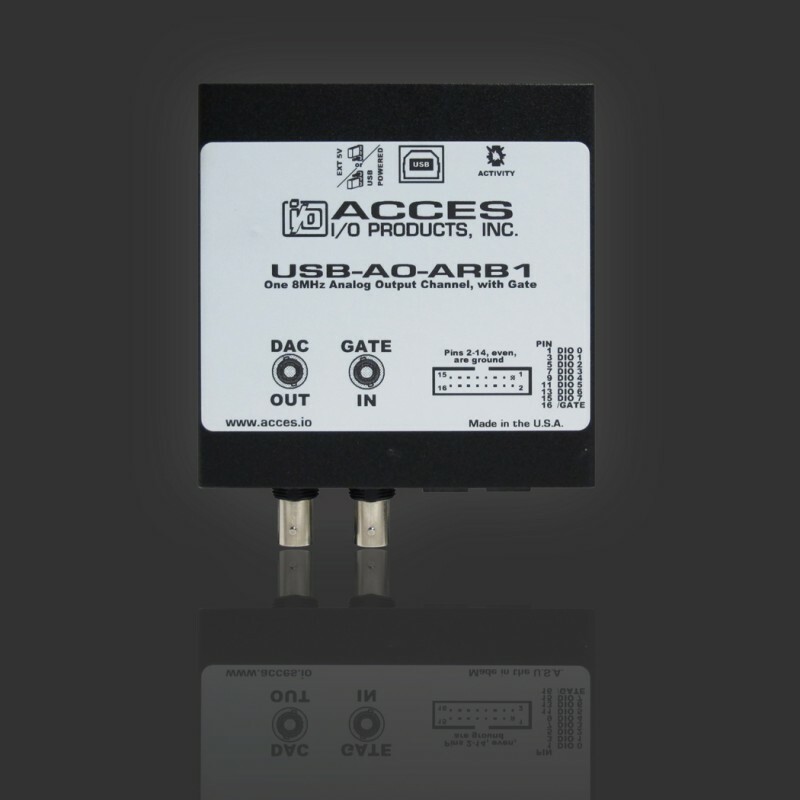 The USB-AO-ARB1 utilizes a high-speed custom function driver optimized for a maximum data throughput that is thousands of times faster than the USB human interface device (HID) driver used by many competing products. This approach maximizes the full functionality of the hardware along with capitalizing the advantage of high-speed USB. The USB-AO-ARB1 is supported for use in most operating systems and includes a free Windows and Linux (including Mac OS X) compatible software package. This package contains sample programs and source code in Visual Basic, Delphi, and Visual C++ for Windows. Also provided is a graphical setup program in Windows. Linux support includes installation files and basic samples for programming from user level via an open source kernel driver. Third party support includes a Windows standard DLL interface usable from the most popular application programs, and includes LabVIEW 8.5+ VIs. 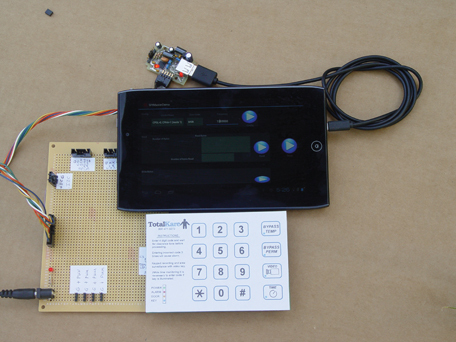 Embedded OS support includes Windows Xpe, WES7, etc. The ECM-DX2 is a highly integrated, low-power consumption micromodule. 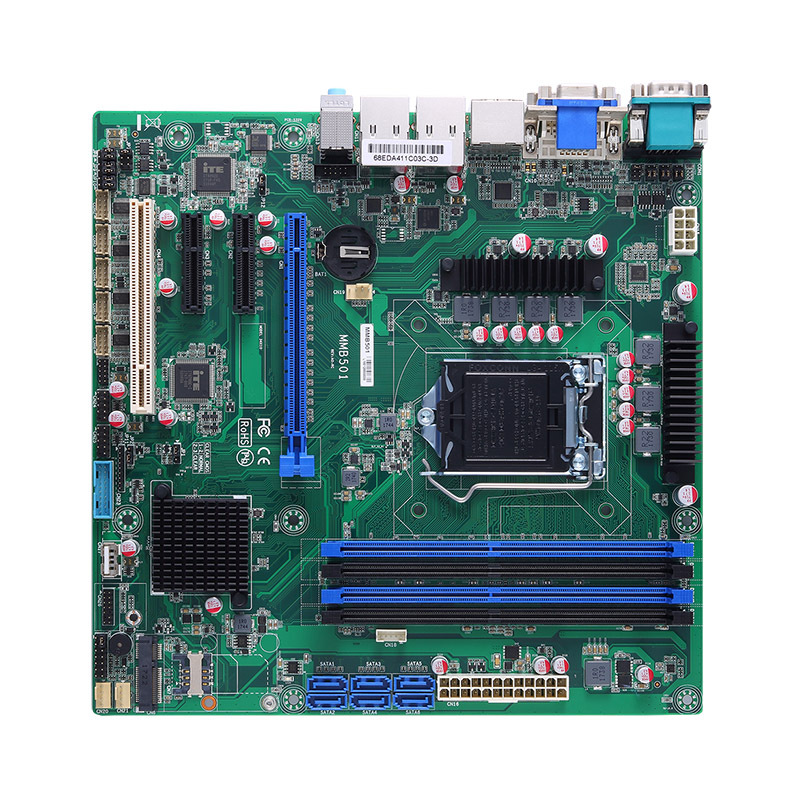 Its fanless operation and extended temperature are supported by the DMP Vortex86DX2 system-on-a-chip (SoC) CPU. The micromodule is targeted for industrial automation, transportation/vehicle construction, and aviation applications. The ECM-DX2 withstands industrial operation environments for –40-to-75°C temperatures and supports 12-to-26-V voltage input. Multiple OSes, including Windows 2000/XP and Linux, can be used in a variety of embedded designs. 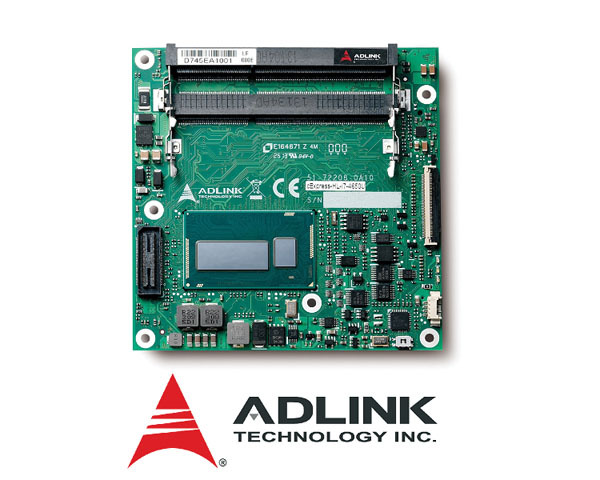 The micromodule includes on-board DDR2 memory that supports up to 32-bit, 1-GB, and single-channel 24-bit low-voltage differential signaling (LVDS) as well as video graphics array (VGA) + LVDS or VGA + TTL multi-display configurations. The I/O deployment includes one SATA II interface, four COM ports, two USB 2.0 ports, 8-bit general-purpose input/output (GPIOs), two Ethernet ports, and one PS/2 connector for a keyboard and a mouse. 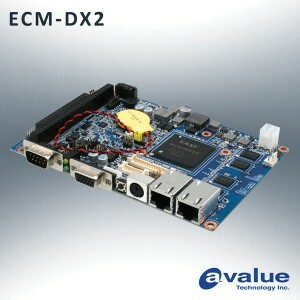 The ECM-DX2 also provides a PC/104 expansion slot and one MiniPCIe card slot. Contact Avalue Technology for pricing. 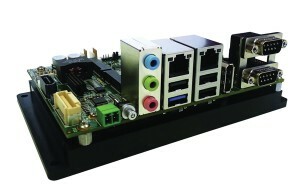 The cExpress-HL computer-on-module (COM) utilizes an Intel Core processor (formerly known as Haswell-ULT) to provide a compact, high-performance COM solution. The cExpress-HL is well suited for embedded systems in medical, digital signage, gaming, video conferencing, and industrial automation that require a high-performance CPU and graphics, but are constrained by size or thermal management requirements. The cExpress-HL features a mobile 4th Generation Intel Core i7/i5/i3 processor at 1.7 to 3.3 GHz with Intel HD Graphics 5000 (GT3). The COM delivers high graphics performance while still keeping thermal design power (TDP) below 15 W. Intel’s system-on-chip (SoC) solution has a small footprint that enables it to fit onto the 95 mm × 95 mm COM.0 R2.0 Type 6. The COM provides rich I/O and wide-bandwidth data throughput, including three independent displays (two DDI channels and one LVDS), four PCIe x1 or one PCIe x4 (Gen2), four SATA 6 Gb/s, two USB 3.0 ports, and six USB 2.0 ports. 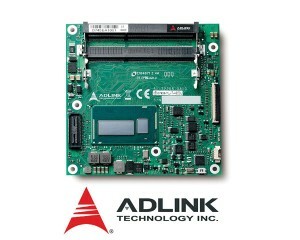 The cExpress-HL is equipped with ADLINK’s Smart Embedded Management Agent (SEMA), which includes a watchdog timer, temperature and other board information monitoring, and fail-safe BIOS support. SEMA enables users to monitor and manage stand-alone, connected, or remote systems through a cloud-based interface. NAN: How did you become interested in robotics? JOHN: As a child, I often saw robots on television but was fully aware that there were no computers capable of making such fictional creations a reality. In the 1970s, microprocessors such as Intel’s 8080 and MOS Technology’s 6502 gave me hope that real robots would eventually become part of our future. I found I could motivate my students by linking lab projects to robotic topics. For example, instead of just graphing the output from an active filter, I had my students use op-amps to detect an ultrasonic wave so they could later build a ranging sensor. I firmly believe that if you want to motivate students, you must give them projects with a purpose. NAN: You spent more than 30 years teaching programming, electronics, and robotics. What did you gain from that experience? JOHN: I enjoyed teaching electronics, but I loved teaching programming. Nothing else even comes close to develop critical thinking skills in students. Watching those skills develop was the reason I taught. After seeing how my hardware robotic projects motivated students, I knew I wanted something similar for my programming classes. Eventually I developed a library of C routines that simulated a simple on-screen robot. 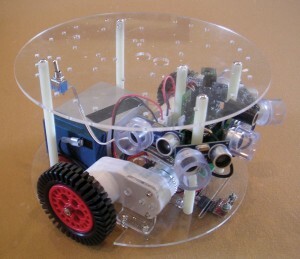 What made the simulated robot special is that it supported numerous sensors (an electronic compass, two levels of proximity sensors, a ranging sensor, line detection, beacon detection, color tracking, and more) that enabled students to solve relatively complex, real-world robotics problems without building any hardware. This structure made programming fun because it gave programming assignments a purpose. 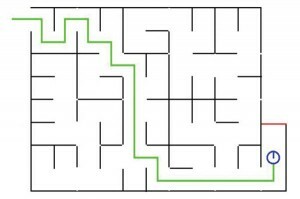 Students no longer had to be convinced that it was important to learn the syntax for a loop or how “if” statements controlled flow to make decisions—they wanted to learn details so they could use them to solve the exciting problems being proposed for them. Which would you find more exciting: writing a program to count the number of words in a string or teaching a robot to follow a line? Better yet, imagine motivating students by having a contest to see whose robot could follow a line the fastest. NAN: How and why did you develop the RobotBASIC programming language? 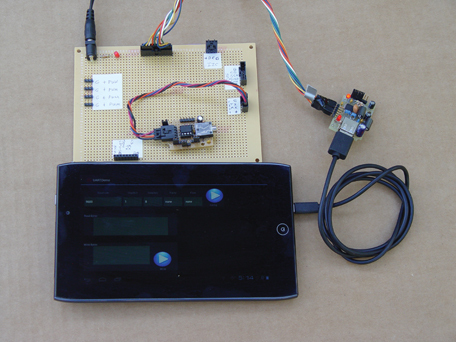 RobotBASIC can control real robots just as easily as the simulation. JOHN: When I retired from teaching I wanted a way for other teachers to utilize a simulated robot to motivate their students. I could have just published my C libraries, but that generally would have limited their use to college classes where C is usually taught. I felt strongly that much younger students needed to be introduced to programming so they could develop not just logical thought, but also an appreciation for math and engineering. I love the C language (RobotBASIC is written in C), but in my opinion, it is far too cryptic to be used as a first language. I wanted to encase my routines in a BASIC-like language that would enable nearly anyone to program a simulated robot. I began writing my own language and was reasonably pleased with the initial efforts. I demonstrated the program to a good friend of mine, Samuel Mishal, who is easily the greatest programmer I have ever known. After politely applauding my efforts, he showed me an interpreter he had been working on to help him with a DSP project. His language was very polished and far superior to my work. He integrated my simulator with his interpreter and we named it RobotBASIC. Even though we planned from start to freely distribute RobotBASIC, we knew teachers could not devote time to learning a language that was just a robot simulator. We began adding new features and capabilities. The more we added, the more excited we became. We started testing the new language by developing robotic behaviors and writing simple video games. Every time we needed something special, we added it to the language. RobotBASIC has all the commands necessary to write simple video games. RobotBASIC currently has nearly 900 commands and functions—far more than most languages. More importantly though, since there are built-in functions to handle many things programmers normally have to do themselves, the language is very fast for an interpreter. We felt RobotBASIC was an ideal language for introducing high school students to programming, but we wanted more. We added hardware I/O capabilities and created a wireless protocol that enabled RobotBASIC to control real robots with the same programs that control the simulation. At that point, the language could easily handle college-level projects but we knew the BASIC stigma would be a problem. To help with this, we added the option to use a modified C-style syntax, making it easier for students to transition to C or even Java. This simulation shows the effects of friction on a spring’s movement. We also decided to address some backward capability by adding legacy-style I/O commands, making it easy to teach basic programming skills to even fifth graders. This enables school systems to utilize RobotBASIC from lower grades through high school without having to teach a new environment when new capabilities are needed. And if the C-style syntax is introduced in the upper grades, students will be better prepared for college programming courses. NAN: What are some uses for RobotBASIC? 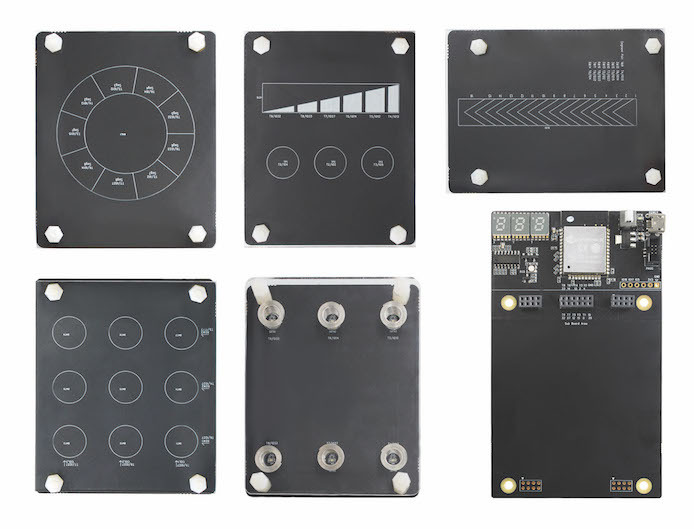 JOHN: Even though students’ needs were a driving force in our development process, RobotBASIC’s I/O capabilities make it a great language for hobbyists involved with robotics or other electronic-oriented projects. For example, it only takes a few lines of code to gather data from a remote temperature sensor using a wireless link and to transmit that information to another user over the Internet. 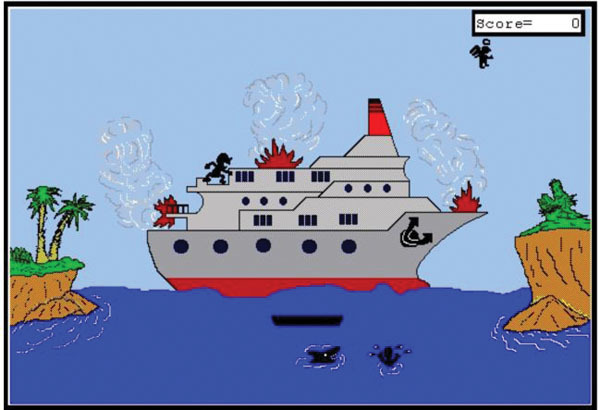 RobotBASIC also has many commands that facilitate flicker-free animation and simulation. 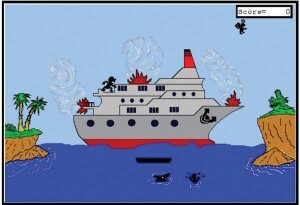 This means teachers have the option of motivating students by teaching how to write simple video games. As much as I love the robot simulator, I have to admit that many students get even more excited about animation than they do about robots. The point is that RobotBASIC provides many options. 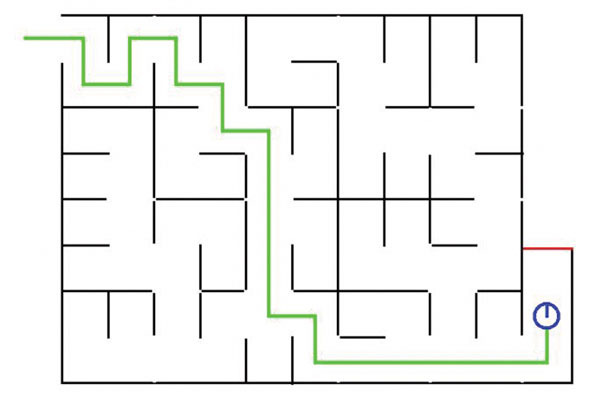 The simulated robot can be programmed to solve a maze. NAN: You offer several types of RobotBASIC seminars geared toward children, university students, and robot clubs. You also lead seminars introducing programming and robotics. What do you enjoy most about teaching? What do attendees gain from your seminars? 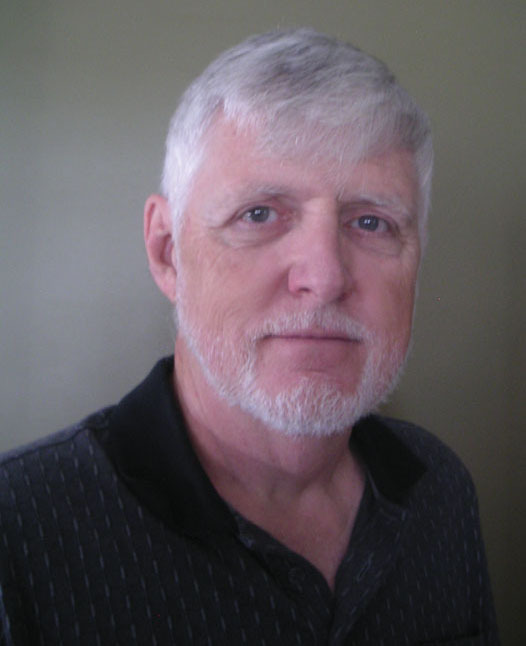 JOHN: I love teaching and I especially love showing teachers new ways to motivate their students. I understand that every school and teacher is different and I make sure I satisfy their goals by customizing each and every presentation based on their individual needs. I am always amazed that schools can’t believe that RobotBASIC is totally free. There are no acquisition costs, no upgrade fees, and no licenses—ever! RobotBASIC is free for hobbyists too. Circuit Cellar readers can download a copy from RobotBASIC.org. NAN: Are you currently working on or planning any robotics-related projects? The speed and flight path of these darts is controlled with finger movements on a tablet’s touchscreen. JOHN: Many RobotBASIC users have been asking for a more advanced book on animation and video games. Unfortunately, my work on our new RobotBASIC Robot Operating System (On a Chip) has been monopolizing all my time for the last couple of years. Now that it is finally finished, I have started writing again. I think the new book will be worth the wait because it also discusses how RobotBASIC can interact with the new Windows 8 sensors (e.g., cameras, compass, accelerometer, touchscreen, etc.) 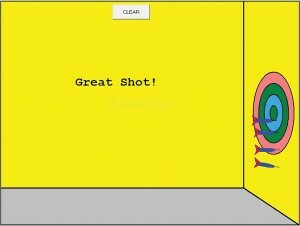 The chapter I am currently working on enables darts to be thrown using finger movements on a tablet’s touchscreen. NAN: Do you have any advice for Circuit Cellar readers who are considering building their own autonomous robots? JOHN: I think the biggest mistake most robot hobbyists make is they spend far too much time constructing a robot before having a detailed understanding of its sensory needs and the algorithms necessary to accomplish their goals. If they would test their ideas first with our simulator, they would have the information necessary to build a platform that can actually meet their needs. Furthermore, they could control their real robot with the very same programs they developed on the simulator.